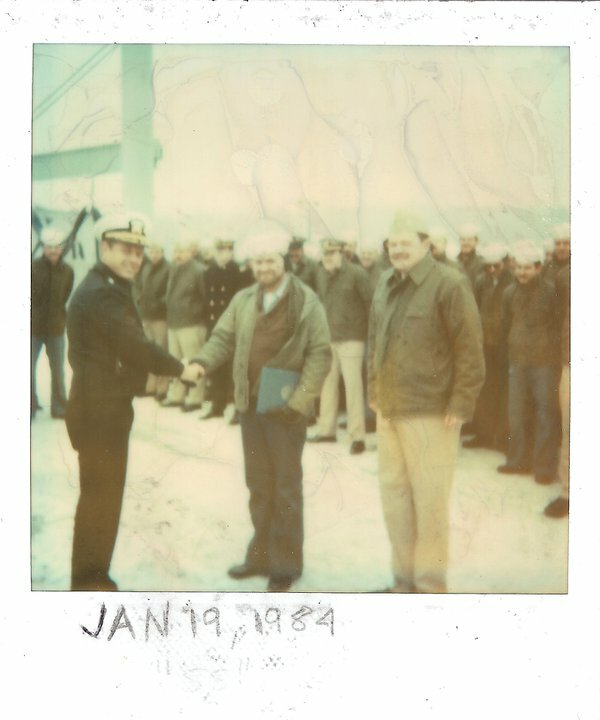 Oct. 1980, first official navy photograph. 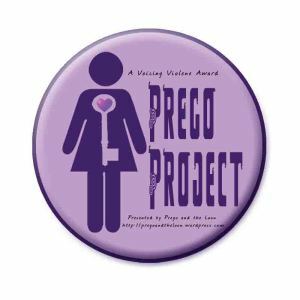 I wrote this years ago, at a time when if someone would have suggested that I would be a writer I would have scoffed at them. Looking back I have always been writing, but never considered myself a writer. Unfortunately, I have almost nothing of my earlier work. So here is one of the few. I also have an article about the newlywed couples on the Titanic that I will be sharing soon. I was thinking today of my last voyage at sea. It was a night trip from Puerto Rico to St. Croix in the Virgin Islands; we left in the late afternoon. Since it was a short trip, our Captain decided to make it on the surface. I was the sonar supervisor until 6 pm. I got off watch, checked the after watch clean-up of my sonar men, reported the clean-up done to the off-going chief of the watch, and ate dinner. Afterwards, while the evening movie was playing on the mess deck (only a couple of men were watching the movie), I packed the few things I had left. 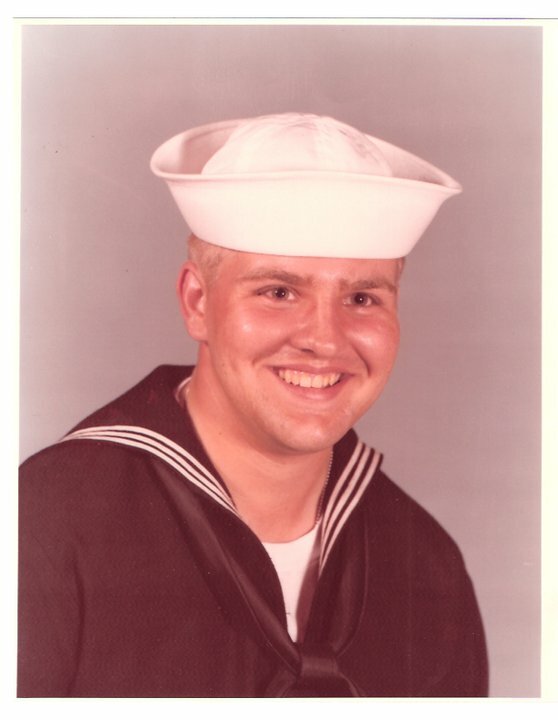 My last night as a submarine sailor, a job I loved; this job, this world, this life was all I knew. I wandered the submarine; this was my last night at sea — ever. I ended up in the control room just as they were changing the lookout up on top of the sail (conning tower). I was still a qualified lookout, though I had not stood the watch since I qualified as a sonar supervisor. I volunteered to go up. The chief of the watch passed the word to the bridge on top of the sail. “Petty officer Combs to the bridge to relieve the lookout,” said the chief. Coming up through the hatch into the Caribbean night sky was awesome. My soul has always been at peace, at sea, surrounded by the ocean. The sonar division officer was the officer of the deck. “Are you sure you want to give this up?” he asked scanning the horizon with his outstretched arm. No, I did not want to give this up, but “this” did not happen often enough. A submariner’s life is spent below the surface of the ocean, in darkness. His world illuminated by red lights and the glow of electronic equipment. The first night on a voyage is unique, though this was more than first night. First night, men not on watch go to their bunks, it has been a long hard day. The normal routines of a ship at sea are not part of that first night. Those men on watch are exhausted from the day’s work of preparing a submarine to go to sea, and then taking that submarine to sea. The usual banter between the men on watch is absent that first night. Only the whir of electronic equipment fills the air with sound. Words are inadequate to describe being at sea with a deck under your feet. There you are alone in your thoughts, you and the sea. Your family, friends, and responsibilities back on shore still exist, but they might as well be on Pluto. You cannot affect them, even if you wanted too. Quite literally all of your problems are behind you. That great equalizer, the sea, is spread out as far as the eye can see before you. No privileges, no obstacles. You stand there on deck feeling the sway of the ocean and the vibrations of the ship. All is as it should be, all is at peace. The sea is constant and plays no favorites. If Jesus was a carpenter … God was a mariner. My commanding officer Commander (later Admiral) Frank “Skip” Bowman just pinned the Submarine Warfare pin on my chest. Standing behind me is my first sonar chief Lee Goodyear. Titanic, A Search For Answers trailerClassic images from the Titanic and her loss. Includes voice over questions that are answered in the book. Using some of the photographs that are in the book as well as other photographs.